A new study published today in the Canadian Journal of Zoology found that captive bears fed a diet high in saturated fats and low in "healthy" polyunsaturated fats did not show symptoms of disease typically observed in humans eating foods high in saturated fats such as insulin resistance, a precursor to type 2 diabetes.Researchers from Washington State University (WSU) fed adult bears one of two diets prior to hibernation, one high in polyunsaturated fats with oats and salmon and the other high in saturated fats containing beef and cheese. The bears fed from May to the end of October and then hibernated over winter. 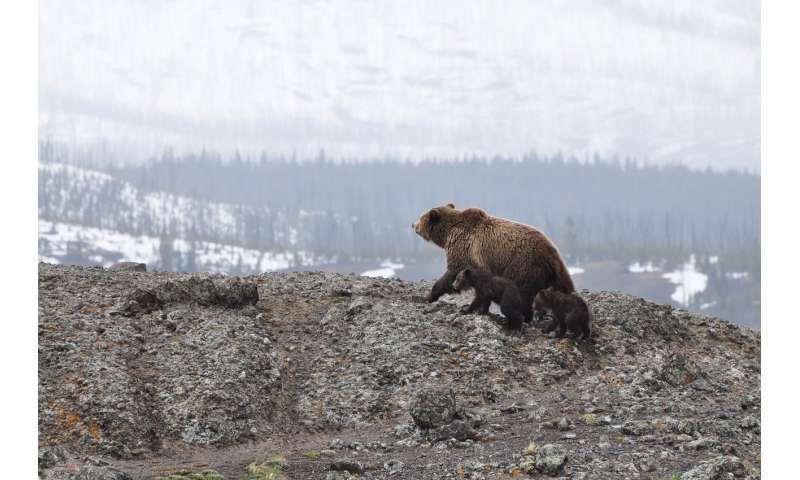 In spring when they woke it was time for a health check-up.Bears fed the diet high in saturated fats got a relatively clean bill of health -- their cholesterol and insulin levels were the same as the bears that ate the diet high in healthy fats.